Click above to view and print a larger version of the response card. Please respond by April 14, 2018. 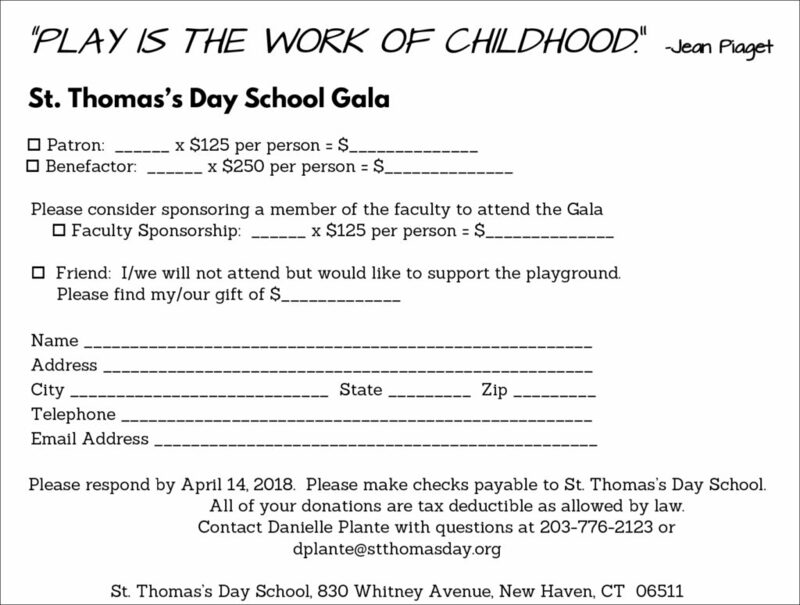 If you have not received an invitation or have questions regarding the event, please contact Danielle Plante at dplante@stthomasday.org or (203) 776-2123 x122. 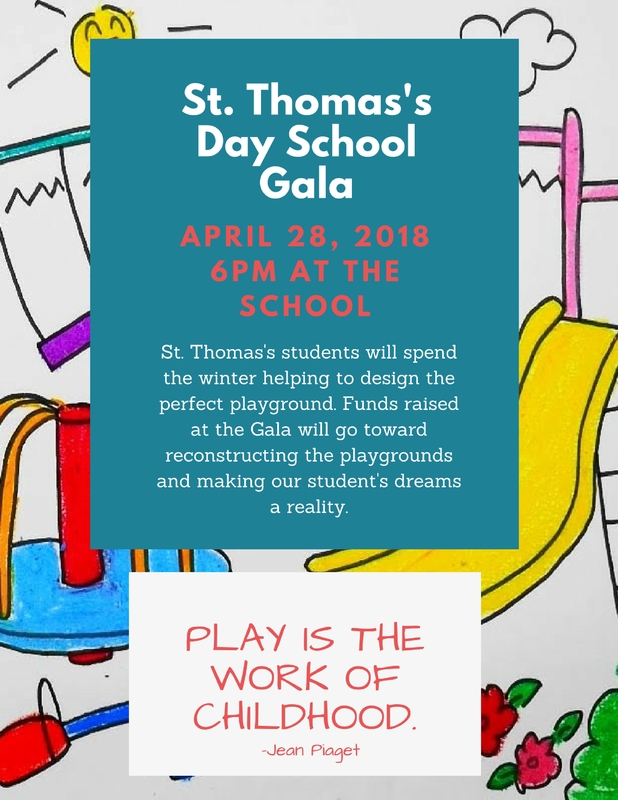 On March 2, 2017 students participated in Playground Design Day. They spent the day imagining, designing and building models of the perfect playground. Their ideas will be incorporated into the final construction plans of the playground.